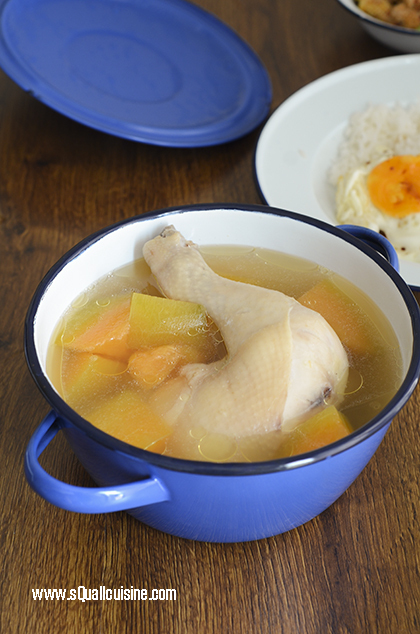 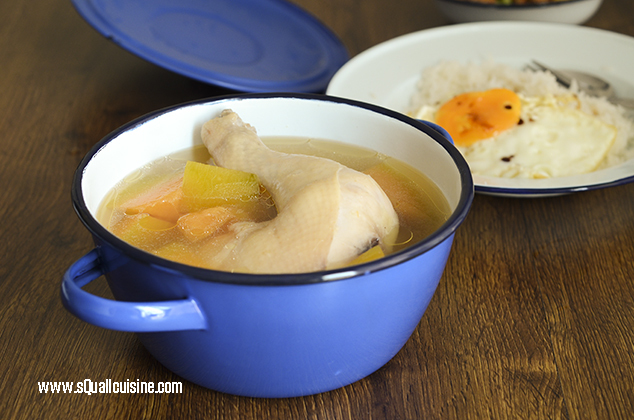 Place chicken in a pot and cook for few minutes. 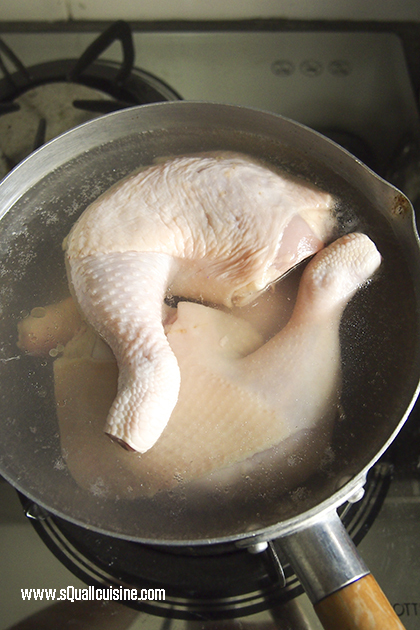 Remove from heat and drain. 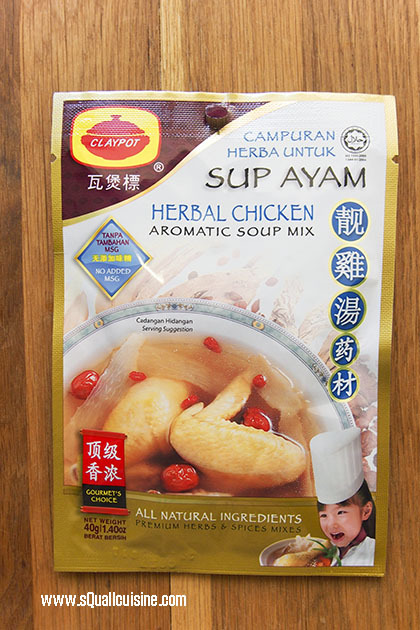 In a pot, add in water and Herbal chicken aromatic soup mix pack, bring to boil. 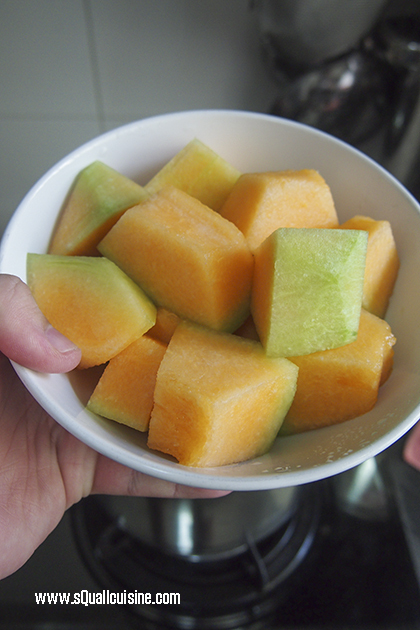 Add in honeydew and salt. 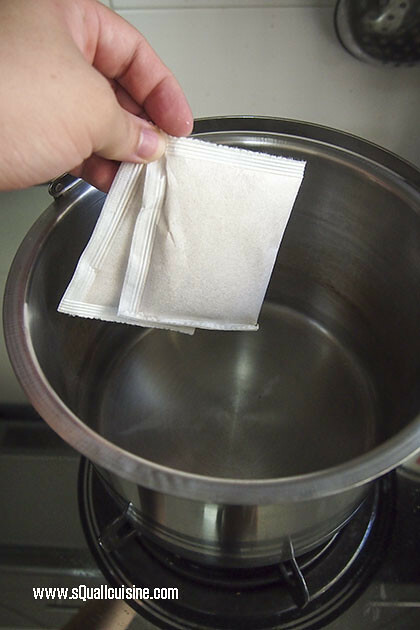 Bring pot to boil, reduce heat and conitue simmer for 1.5hours. 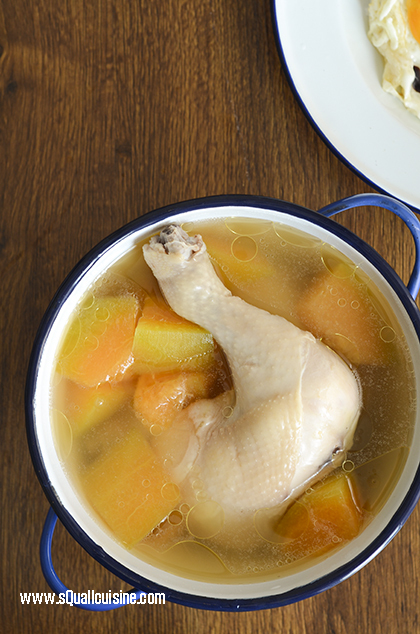 Or let it boil for 10minutes, remove from heat and transfer pot to thermal cooker for 3hours and above.